Shiba Inus are fairly small dogs and have become very popular in my neck of the woods, especially in the Downtown Vancouver, where people live in small apartments. They are fairly quiet dogs and easy to house train. 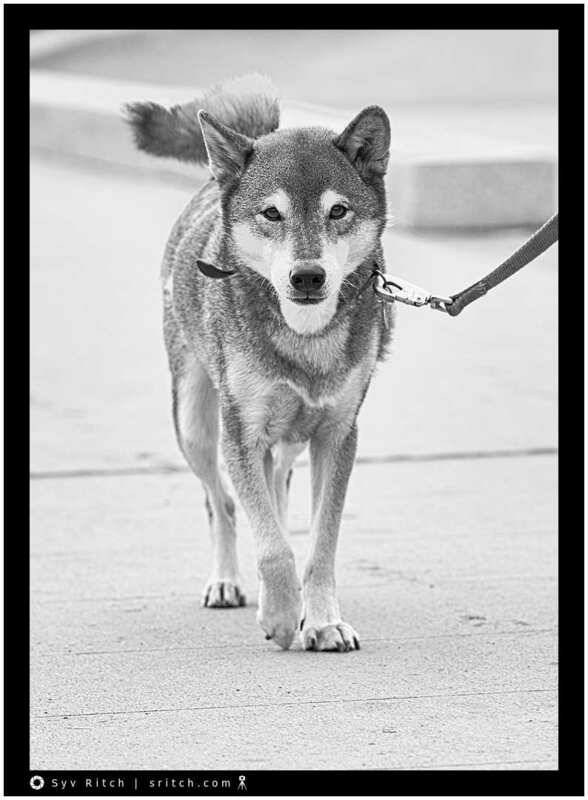 The Shiba Inus are a very recently imported breed to the West with the first import from Japan to the US in the late 1970s. I was told that the Shiba Inus must be raised in house to become sociable dogs and the Shiba Inus that grow up in kennels outside become very anti-social dogs. BTW, A friend of mine whose wife is Japanese told me that the word Inu means dog in Japanese and that there are a few possible translations for the word Shiba.